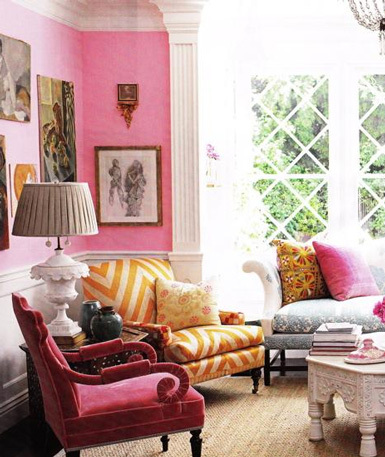 I esp liked the pink room with the golden yellow chevron chair! So pretty! I have a small loveseat in the bedroom that I'm thinking of having reupholstered, but it's a pretty involved piece (lots of folds/ridge-like things?). Is there a good pattern for a piece like this, or should I stick to solids? Great post!!! 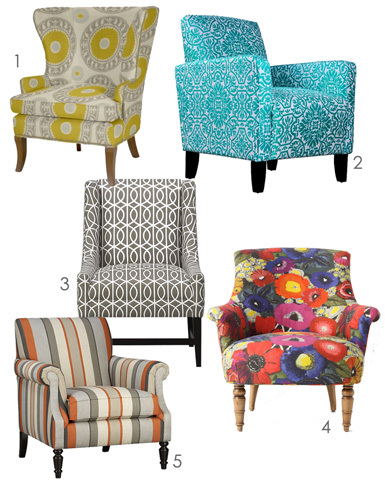 I love patterned upholstery, especially when it's paired with such fun color!! Have a great weekend, Julie!! I love pattern on chairs they do add that little extra something. Really love the pattern in the first image, really love the green and white..
Beautiful! 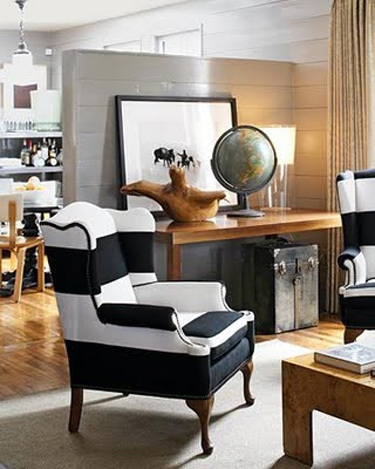 I especially love the chair with the huge black stripes (surprisingly!). 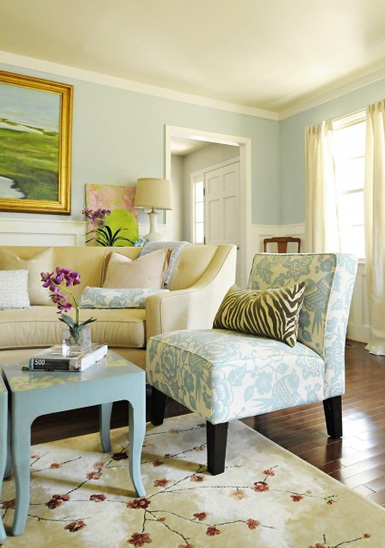 Love that blue and white chair! I adore them all! They are so fun...not to mention the statement!